Oregon to Nevada Freight shipping and trucking services are in high demand; Portland to Reno is a very heavily traveled route. 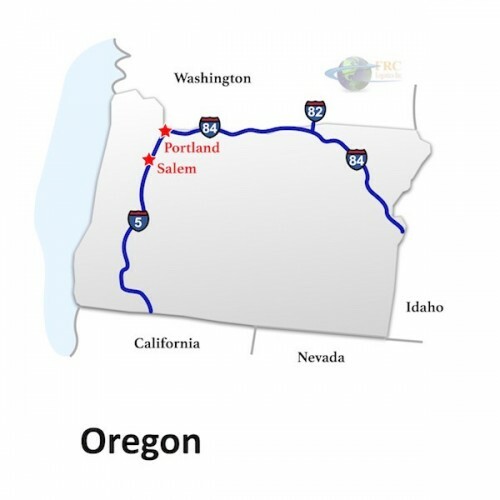 The Portland, OR to Reno, NV shipping lane is a 533 mile haul that takes more than 9 hours of driving to complete. Shipping from Oregon to Nevada ranges from a minimum of 36 miles and a minimum of 1 hour on the road from Andrews, OR to Denio, NV, to over 1,147 miles and a minimum of 19 hours on the road from Warrenton, OR to Laughlin, NV. The shortest route from Oregon to Nevada is along the I-5 S corridor; however there is a more easterly route that uses the US-395 S, traveling through Davis Creek, CA instead of Klamath Falls, OR. Nevada trades in fantasy, but that’s not all. Down-to-earth industries like mining and ranching play an important role in the state’s economy. Of course, government shipping is also in high demand in Nevada. 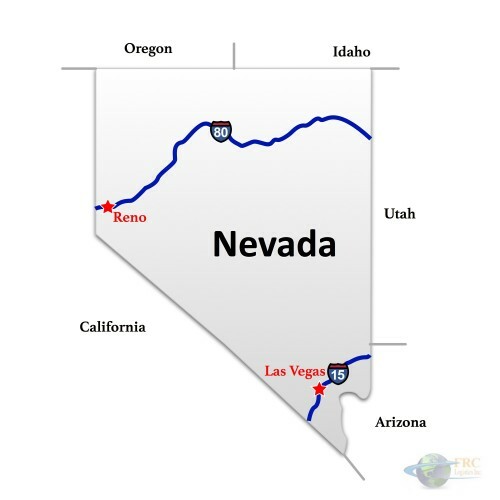 As a state that is dry and sparsely populated, Nevada’s shipping needs tend to be straightforward. However, knowledge of local roads is important to properly manage logistics in Nevada. Freight Rate Central is headquartered in neighboring Idaho, and we understand Nevada’s climate, industries and roads. We work with Nevada’s top trucking companies to bring you reasonably priced shipping services you can depend on. FRC works with Nevada’s best trucking companies and shipping specialists to bring you a wide variety of options at the lowest prices in the Nevada logistics industry. If you’re shipping across the Sierra Nevada Mountains or the Mojave Desert, Freight Rate Central will do everything necessary to make sure every aspect of the journey goes smoothly and safely. Whether you’re shipping minerals through Reno to California or transporting construction equipment from Vegas to Paradise, FRC can make the connection. Oregon to Nevada Freight shipping quotes and trucking rates vary at times due to the individual states industry needs. Since Oregon and Nevada is mostly industrial, with many food processing and distribution centers, we see plenty of shipments by refrigerated trailer. We also see a number of flatbed shipments as well as by the more common dry van trucks. Our Less Than Truckload (LTL) carriers in both Oregon and Nevada are also running a number of regular services between the two states, and it’s an active route for heavy haul freight shipments, as well.